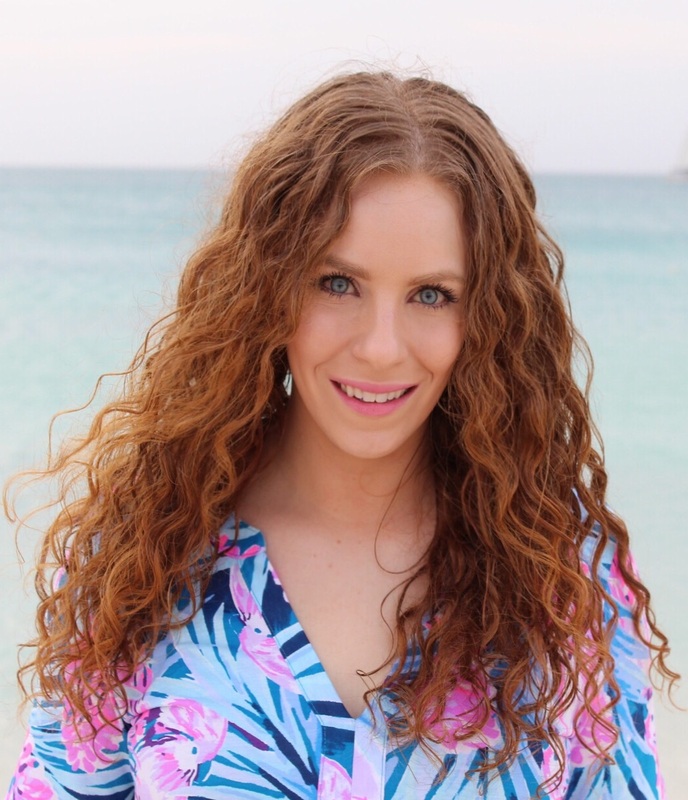 Curly, Wavy Hair Product Reviews and Info, plus Skin Care, Makeup and More! Just a quick post showing my hair and makeup today. More specifically my makeup because I'm obsessing over my eyeshadow and lip color. The eyeshadow is so simple. It's the Mally Beauty Creme Shadow in Pink Champagne. I love it because you don't need a primer underneath, it stays put all day long, and is such a gorgeous shade of pink that brightens up my eyes! I used a Laura Geller highlighter under my brow- I want to say it's called Sugar Glow. By the way, top pic was taken with my phone and the rest with my digital camera, which is why the coloring a slightly different. 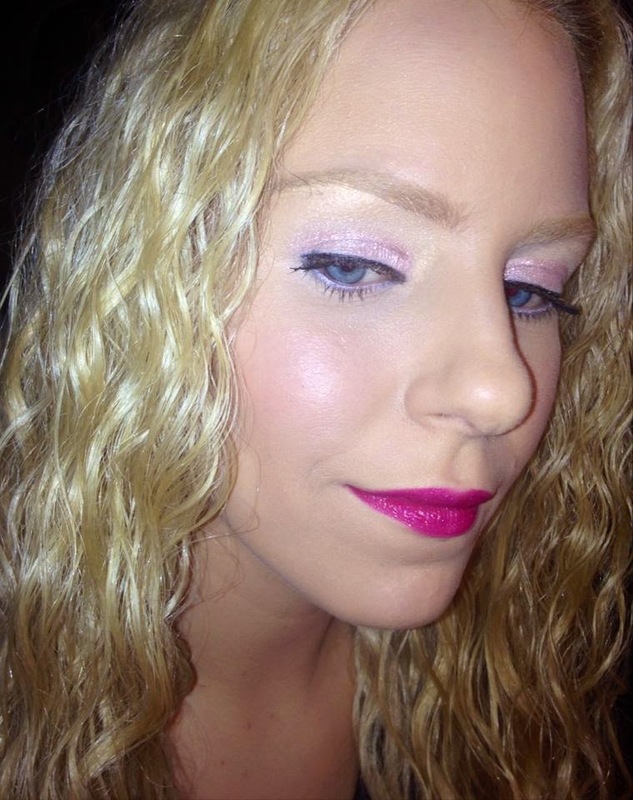 The Lip Color is "Love Affair" from Mally's Lip Glitz trio on QVC. I will have a full video and blog post on the set too, the formula and the color are INCREDIBLE. One of my favorite lip products ever. This shade is a gorgeous pink berry, it makes my lips look fuller and stays on for hours and hours- even through eating and drinking. It also is enhanced with glitter, which I personally love. For the rest of my face I used the It Cosmetics Awakening primer followed by the tarte BB primer in light. I use the Awakening primer every day as skincare so it's normal for me to double prime like this, but it isn't necessary. Then I used It Cosmetics Bye Bye Redness to hide some unnecessary zits, and the tarte BB foundation in Medium. Concealer wise I used the tarte BB under eye corrector, it cosmetics bye bye undereye in medium and Mally sunshine in a jar on top. I contoured using the tarte sculptor crayon which is the easiest face contouring thing in existence if you ask me. 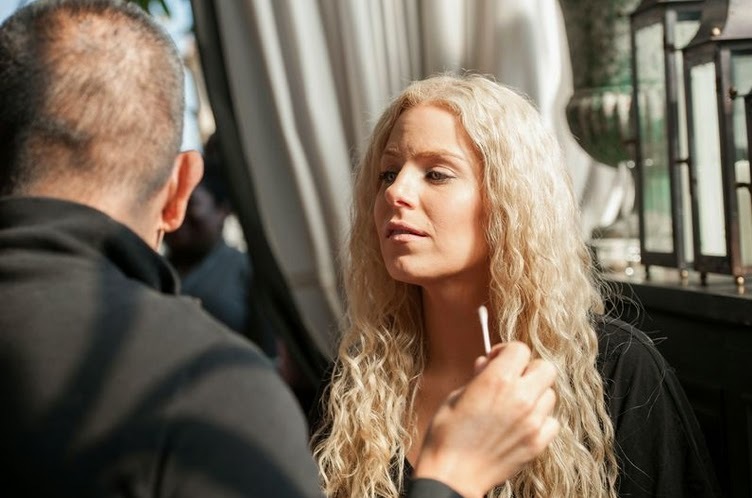 I used the Mally 24/7 professional blush in pink lighter, tarte architect eyebrow pencil and set everything with the Mally clear liquid face defender. For the rest of the eye look- mascara is layers of tarte's multipleye primer, It tightline and Revlon Grow Luscious Mascara. Lid liner is It Cosmetics Liner Love in Black- review of that soon too. And finally I lined my waterline with the Benefit Cosmetics Eye Bright. Hair wise this is second day hair which is my best hair day in my hair cycle. 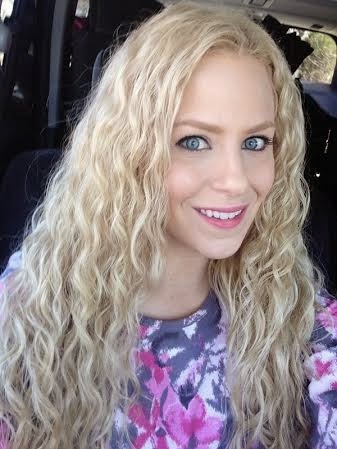 I refreshed this morning using DevaCurl Mister Right, the Q-Redew hair steamer and Curls Cashmere Jelly. The galaxy shirt I am wearing is from Urban Outfitters. I love galaxy print! 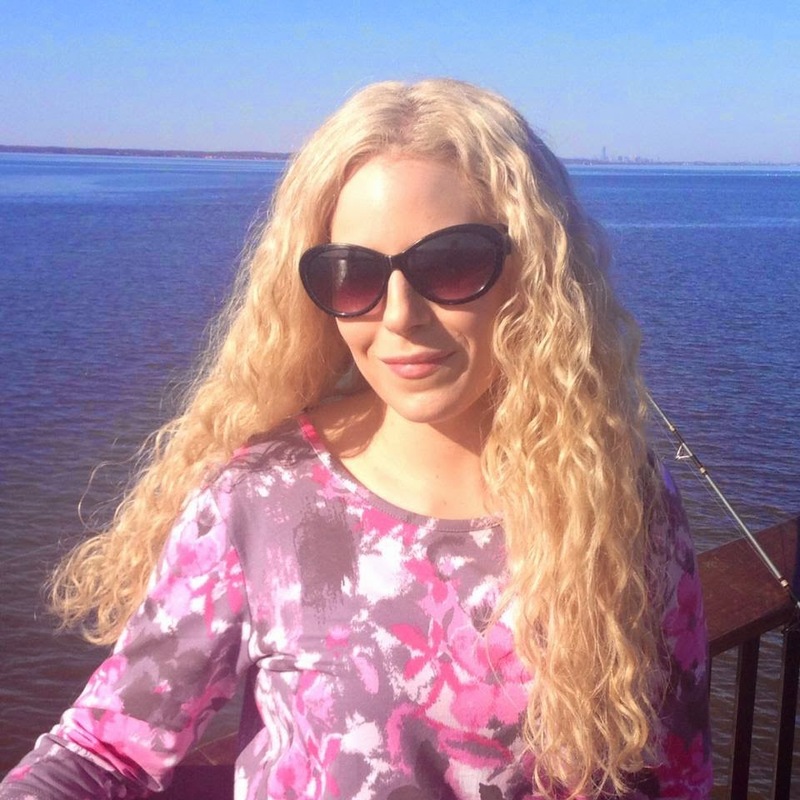 I am naturally super pale and I don't want to bake in the sun since skin cancer runs in my family. Any self tanning and bronzing products are like my best friends and I must say, Tarte does self tanning RIGHT! What you won't find in any of tarte's self tanning products aside from gluten, mineral oil, phtalates, triclosans, parabens and sulfates since tarte never includes any of that icky-ness in their stuff, are orange tones, streaks, uneven application or bad smells. These are my FAVORITE way to give myself a warm and healthy glow now. So there are three self tanning products total I will be talking about. 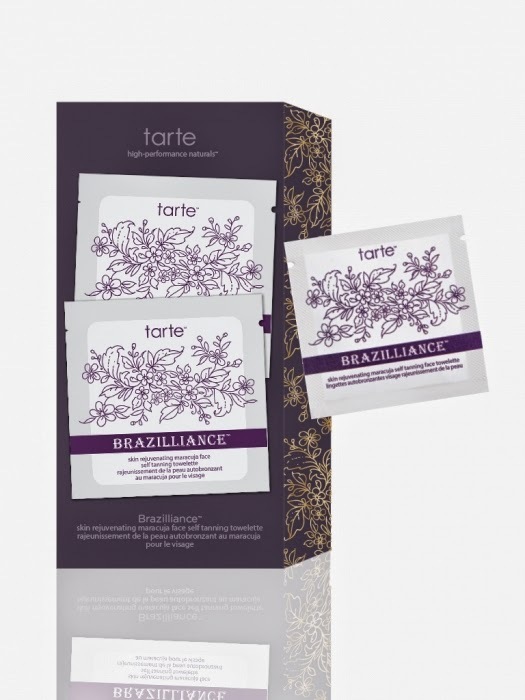 The Maracuja Bronzing Serum, the Brazilliance Skin Rejuvenating Maracuja Self Tanning Face Towelettes and the original Brazilliance Skin Rejuvenating Maracuja Face & Body Tanner. The first thing I have to say about the Maracuja Bronzing Serum is GENIUS. 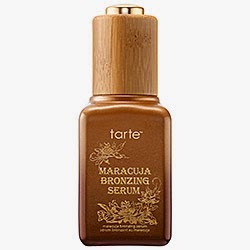 Tarte took their popular pure Maracuja Oil, which is super awesome for the skin being high in essential fatty acids and vitamin C, and infused it with a gradual self tanner!!! 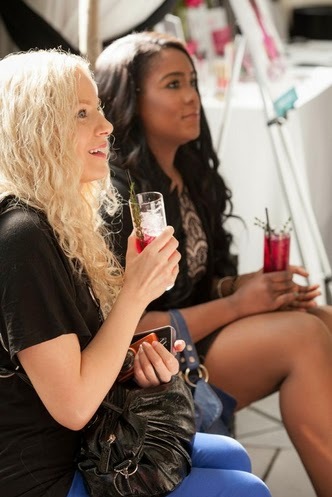 Ladies and gents, this is where I would suggest starting if you are a bit of a self tanner phobe. Not only will this serum build up a gradual, goof proof tan but it will also help brighten, hydrate and even skin tone as it helps fight the signs of aging. I like using this product at night now in place of the original Maracuja Oil as the last step in my skincare regimen. When doing so, I wake up with such a lovely and natural looking glow. You can build onto the color buy using it consistantly every night in a row until your desired level of bronze is achieved. 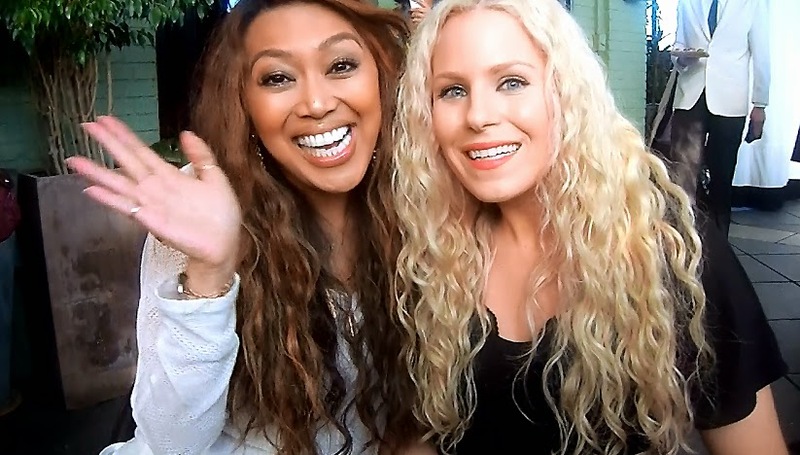 I have been usng the Brazilliance Skin Rejuvenating Maracuja Face & Body Tanner on my face and body since it debuted on QVC a couple of years ago. I simply can't rave enough about this product! I love that it doesn't smell, isn't sticky, dries super fast and gives me such a beautiful bronzed color that does not streak or fade unevenly! Plus the Maracuja inside is helping to hydrate and nourish my skin. The mitt it comes with makes it even easier to apply on my body and for my face I just use my hands. Aside from Maracuja, it also contains sunflower seed oil and vitamin E for added skin nourishing and protecting benefits. Out of all three products, this one does get my face the darkest but don't let that scare you because even so it doesn't look Oooma Loompa like! I usually prefer to use this in the morning as my last step of my skincare before makeup. There is a color guide that rinses off but gives me immediate bronze and the self tanner develops over the next few hours. A few more things to consider. After applying any of these tanning products, make sure to wash your hands thoroughly so your palms do not stain. As great as self tanner is, tanned palms are just not natural. These are tanning products, NOT sunscreens. They will not protect you from the sun so make sure you wear an SPF! disclaimer: some of these were sent to me by the company and some bought with my own money. I am not endorsed or sponsored by any company and receive no monetary compensation for my reviews. All thoughts expressed are my own and honest opinions. So it has been brought to my attention lately I have a really weird phobia. I am not sure of the exact name of the phobia, but in plain English I have a fear of scissors. Some of you are probably looking at me confused but that is okay. To clarify, I can use scissors just fine and have no issue. They can be on the desk near me and again, I'm not bothered. It's when other people are using scissors too close by I start to kind of freak out a bit. My mom was just innocently using scissors to cut tags off something right behind me and I kept shuddering and ducking my head. I was so uncomfortable I had to get up and walk away from what I was doing. I blame this weird fear on haircuts. Yup. I have had so many terribly awful haircuts in my life I think when a person uses scissors near me it is why I freak out. Forget when I actually do need to get my hair trimmed. My boyfriend or awesome hair stylist usually trims it now. It took me going to her for almost 2 years for color to grant her the privilege to trim me with trust. Even though I know they will do exactly what I want, my heart still races and I can't breathe well until it's over. Seriously, I rather go to the dentist (hey 28 years with no cavities!) than get a hair cut. It's that bad. I suppose this is a curly girl problem? Here are my unboxing videos for the April Birchbox & Ipsy bags! 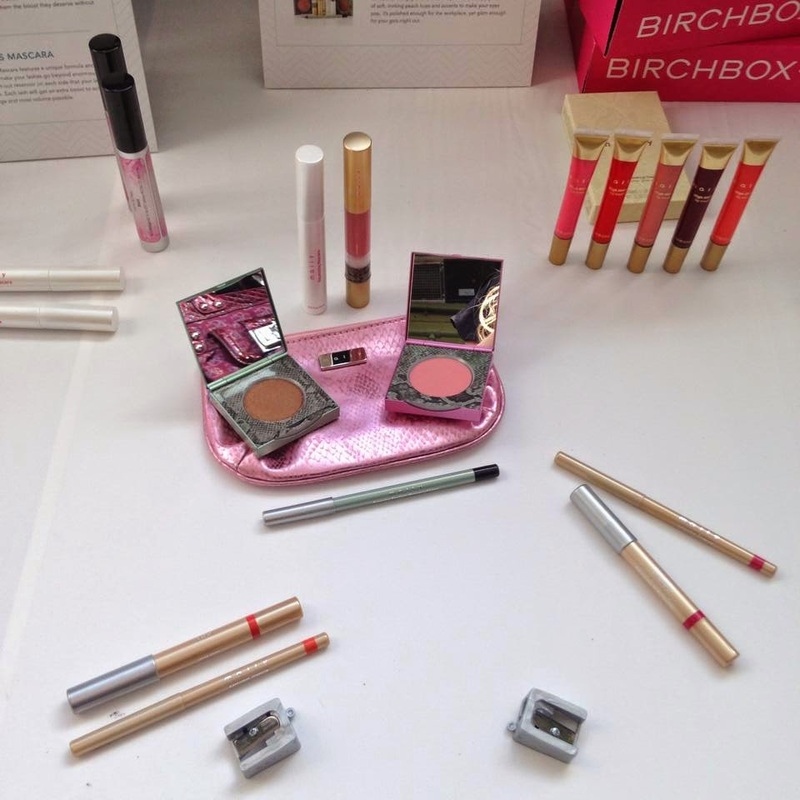 click here to subscribe to Birchbox! click here to subscribe to ipsy! 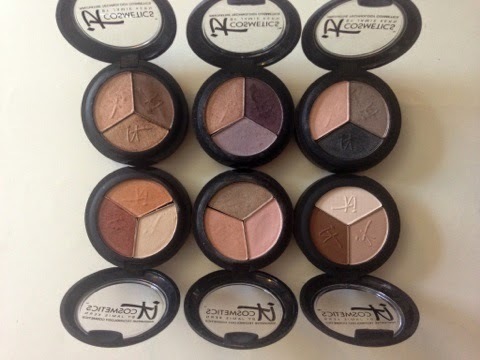 It Cosmetics has six shades total in their Luxe Waterproof High Performance Eyeshadows with Age Reverse & Prevent Complex. These eyeshadows are special- not only are the colors gorgeous, blend together wonderfully and last all day on the eyes without fading, but they are infused with great anti-aging ingredients including hydrolyzed collagen, green tea, acai and Vitamins A, C & E! Even better, that are formulated without talc, paraben, sulfate, mineral oil, petrolatum, synthetic fragrance, and phthalates. They are also hypo-allergenic and non-comedogenic. The trios each feature three shades which are perfectly matched to wear well together. But if you are a major IT fan like me, you probably will like mixing and matching the colors from each trio as well. There is also a small mirror and two double sided sponde appilicators housed on the bottom of the compacts so they are really easy to travel with. Check out my video below for a more detailed review and for a swatch picture slide show! disclaimer: some of these I bought myself and some the company did send me. I receive no monetary compensation and am not endorsed or sponsored by any company for my reviews. Everything stated is my own and honest opinions. 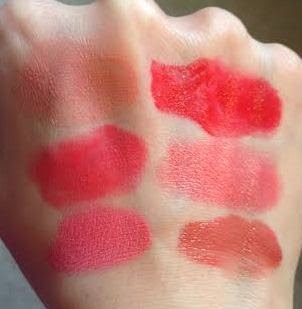 Sephora has their 15% off VIB Rouge sale at the same time ULTA did 20% off everything, including prestige items! So naturally, I hauled. 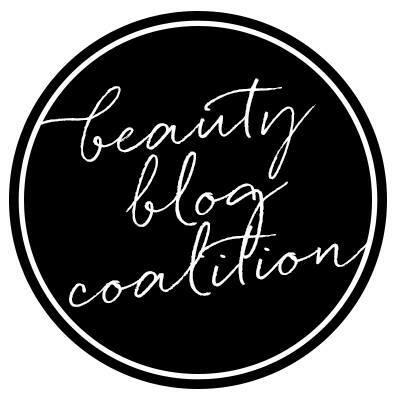 I got some makeup and stocked up on some Holy Grail hair items, especially buying a lot of a specific product I am obsessed with and found out is being discontinued! 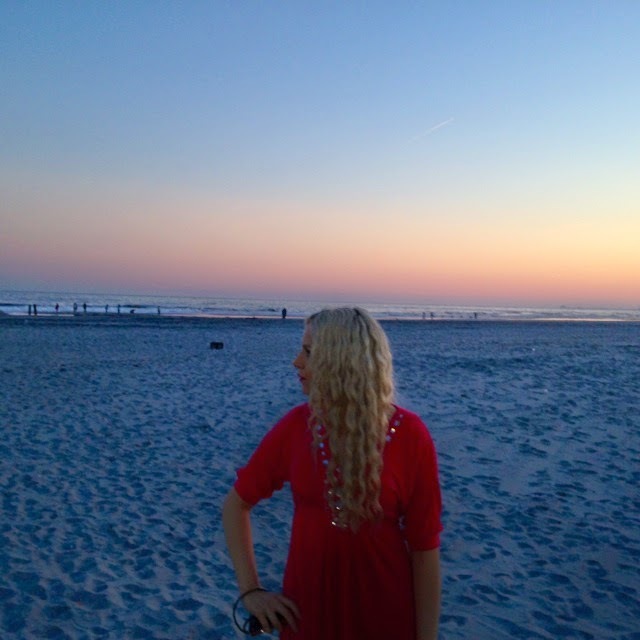 So this was the following day back on the beach in Atlantic City. Day 3 hair! 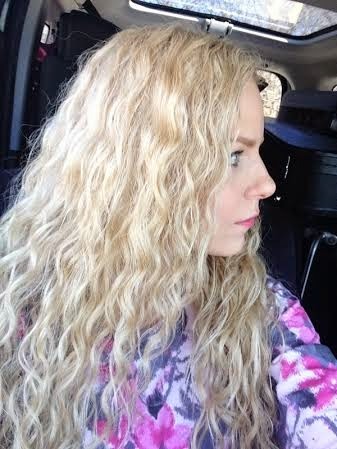 I used Jessicurl Awe Inspiraling Spray, CURLS Cashmere Jelly and Devacurl Set Up & Above. Some of these shots were taken from our hotel room which had an amazing beach view! Tom took this before I was ready but I like how it came out! The top is from Express, sometime within the last 10 years. I hope you enjoyed these photoshoot blogs- I am hoping I can convince Tommie to do some more of me outside with the nicer weather approaching. And a personal note to myself: Take the ponytail holder off your wrist! 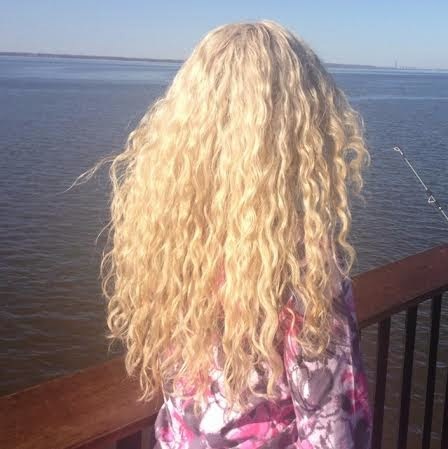 Curly girl problem- I'm sure you can relate? 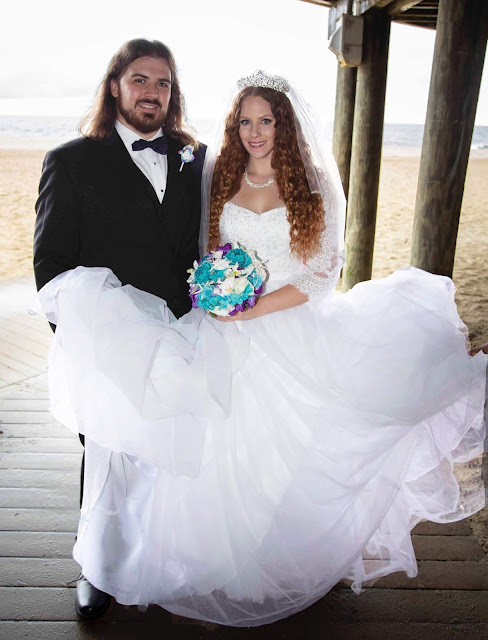 Last weekend, Tommie (the boyfriend) and I went to Atlantic City to celebrate our 4 year of dating anniversary. The weather was PERFECT!! It was in the 70s and we couldn't ask for anything better. We were hanging out on the beach a while so I asked him if we can "play photoshoot" again. My loving and patient boyfriend agreed. I am splitting the photoshoots up to 2 separate blog posts- Day 1 & Day 2. Day 1 (this post) we were on the beach as the sun was setting and the sky was truly breathtaking. The photos below are not enhanced or edited in any way. I wanted to show you guys the beauty of the sunset sky. The tunic top is from the Marc Bouwer for QVC collection a few years ago. Part 2 here: coming soon! 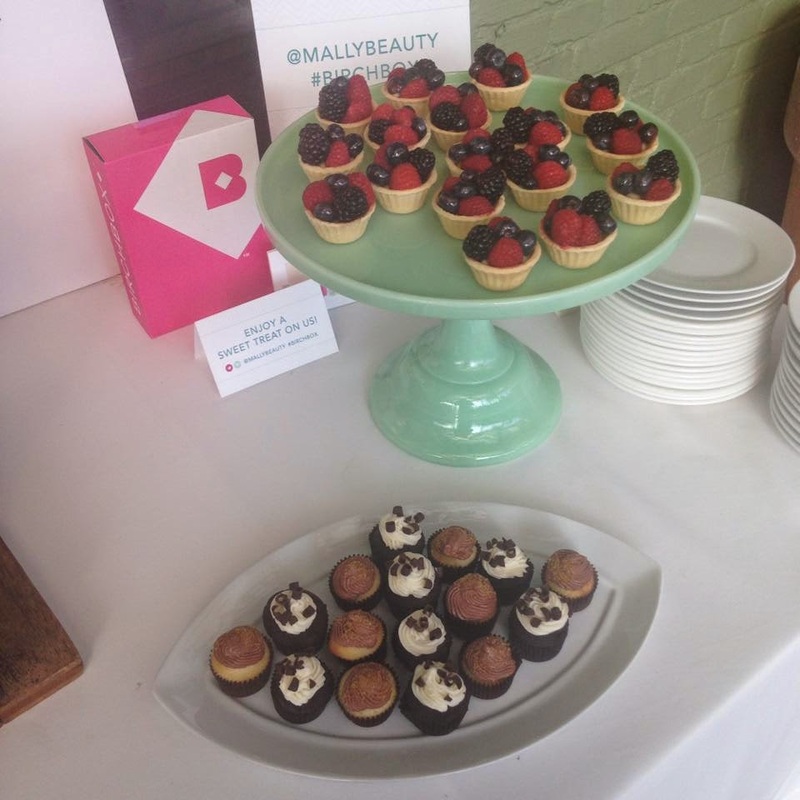 Mally Beauty & Birchbox Spring Beauty Soiree Event Recap! Orange Lip! Different from my usual PINK! 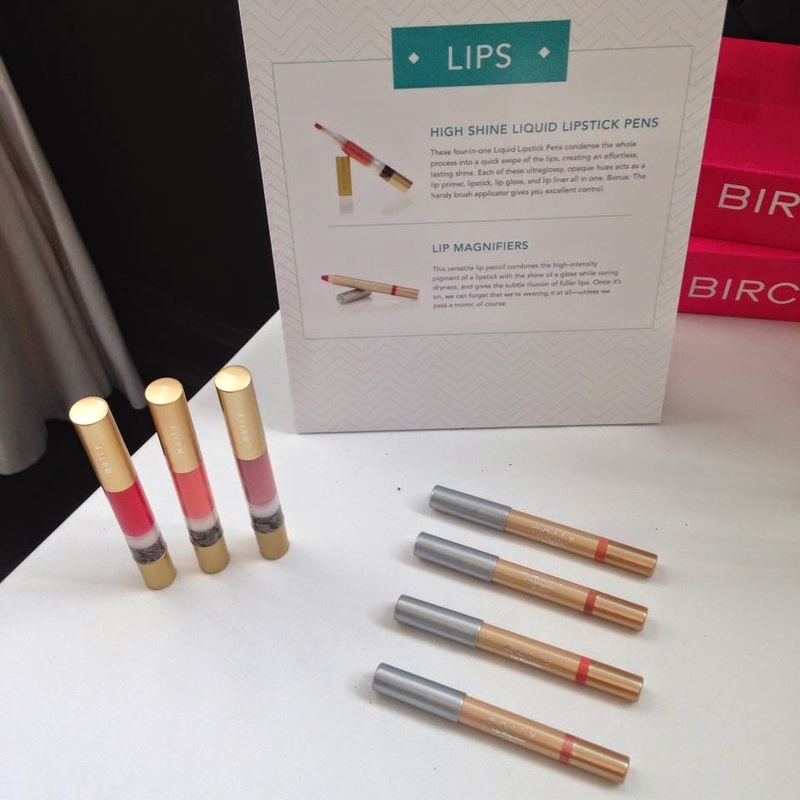 ;) Photo by Birchbox. Mally & I again! 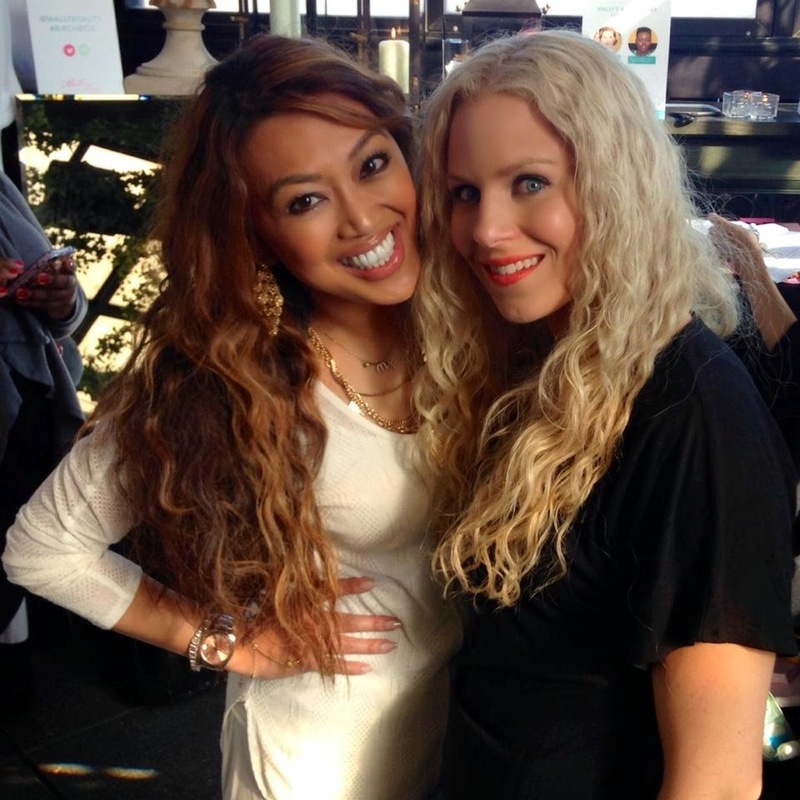 Loved her hair for this event- wavy! 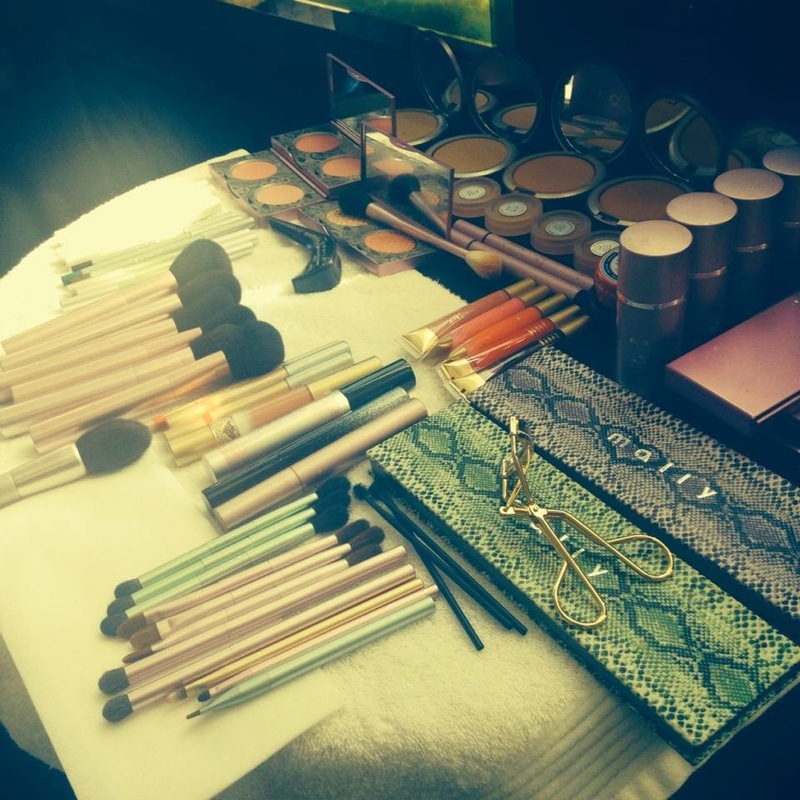 lots of Mally makeup & brushes! 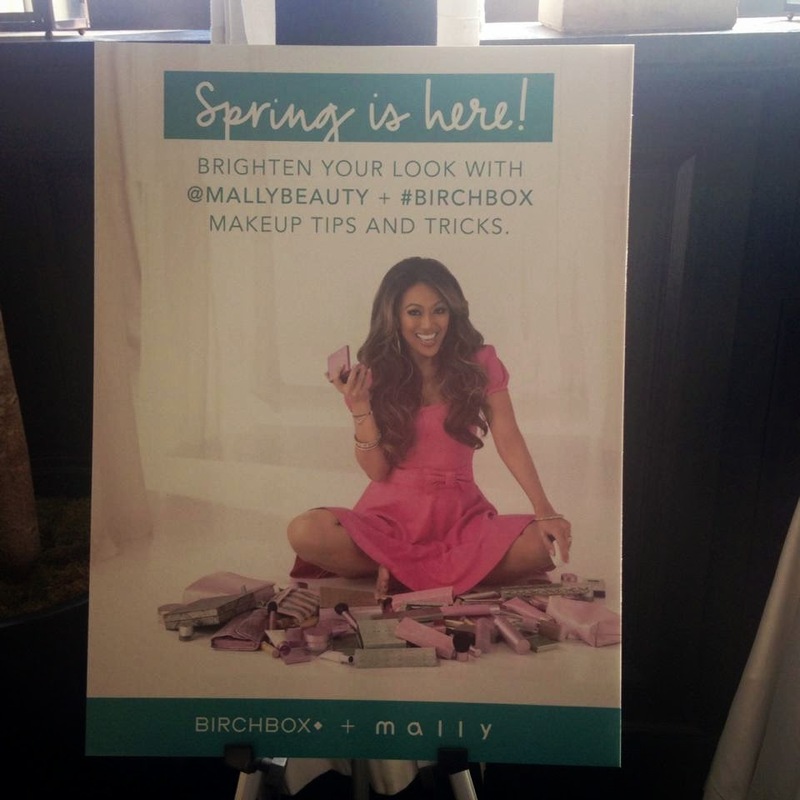 Thank you so so much again Mally & Birchbox for having me. I really had a wonderful time! 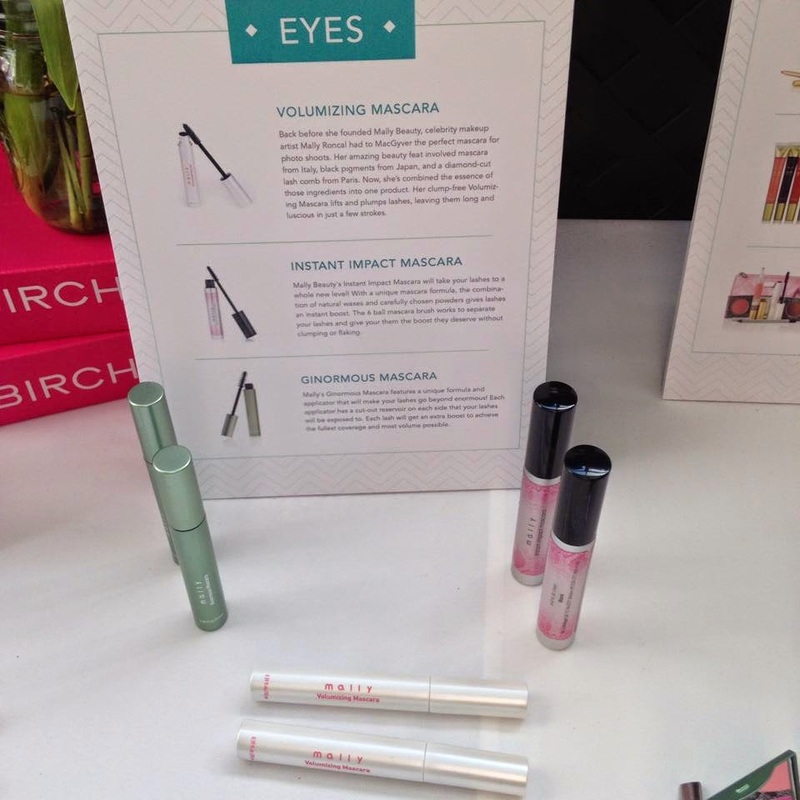 Tarte Cosmetic's Summer 2014 collection is nothing short of AWESOME, and truthfully I wouldn't expect anything less from this amazing brand. You can expect a few videos & blog posted breaking the collection down by pieces and here is the first one. The first two products I will be reviewing are absolute necessities if you have combination or oily skin! My skin is combination and I am prone to shine, especially in my T-zone. As the weather gets warmer, the shine happens more often too. Both of these products will help with this problem. 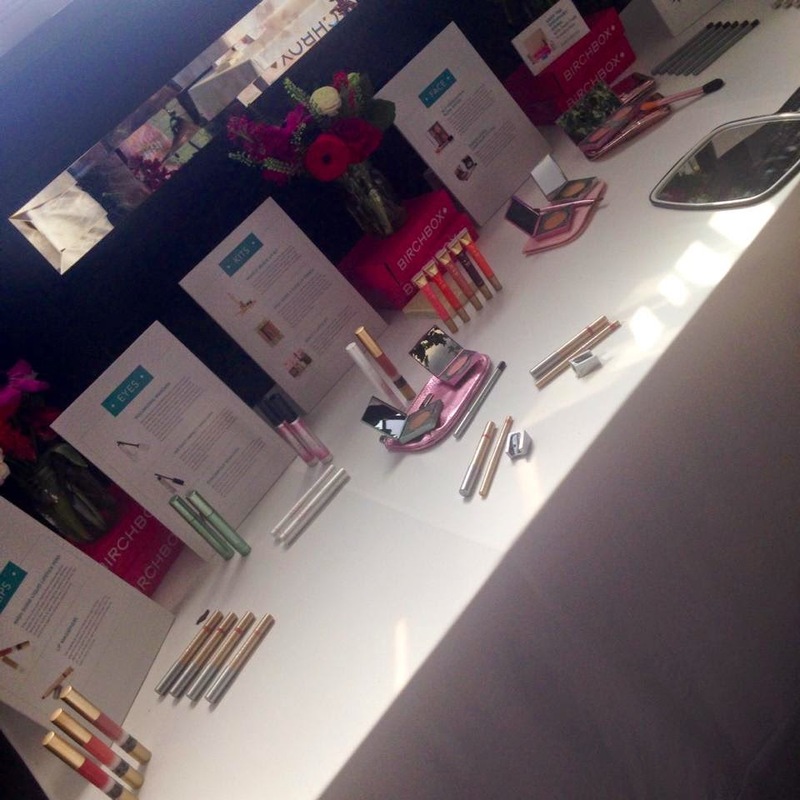 The first product is the "Not So Slick" Oil-absorbing Blotting Papers. These are great for on the go and help control shine, even over makeup. You just take one of the papers and press it (don't rub or makeup will get messed up) over the spots you are shiny to absorb excess oil. Super easy to use and will also work well if you don't wear makeup every day. These papers are also naturally derived made out of Camellia Leaf Extract and are infused with Green Tea to supply your skin with some antioxidants! I found they did exactly what they would say they would do and are now a permanent addition to my hand bag to tackle shine when out and about.The purple leaf print on the packaging is completely adorable. The other product is the Smooth Operator Amazonian Clay Pressed Finishing Powder. 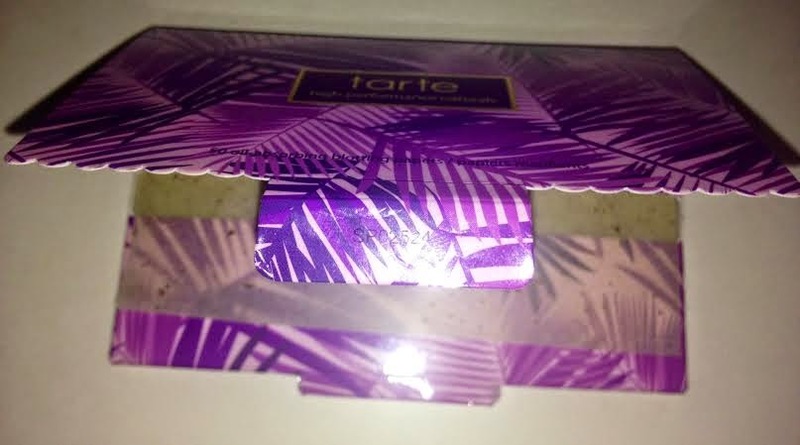 I have been wishing and hoping for tarte to release this product for years! I am a big fan of the original smooth operator loose powder to set my makeup and always wish it would come in a more travel friendly option. 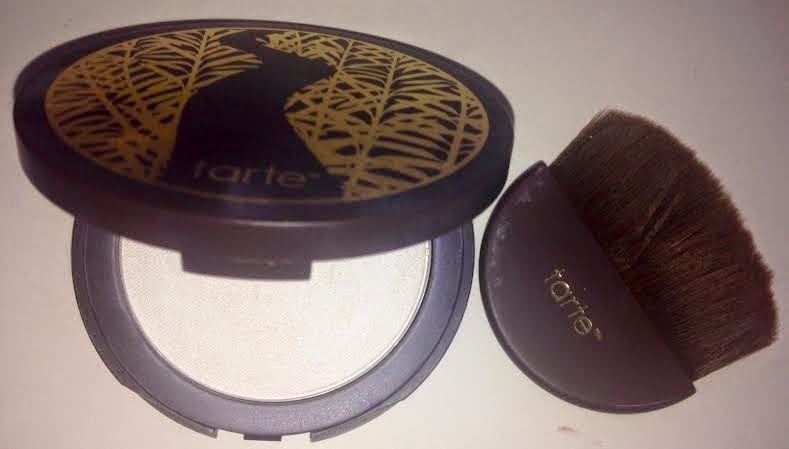 The powder is infused with Amazonian clay which according to tarte's site will "help mattify skin, minimize the appearance of pores and reduce excess oil, for a soft focus finish even when you’re on-the-go" Amazonian Clay is a star ingredient in tarte's line and it helps to balance out the skin beautifully. This also comes with a little brush that fits perfectly into the compact making touch ups while out even easier. I found this powder to not be chalky or too powdery at all and gave my skin a nice matte and shine free finish. It also does not feel heavy or cakey on my skin. Like all tarte products, these are both formulated without any parabens, mineral oil, phthalates, triclosans, sodium lauryl sulfate or gluten! P.S. 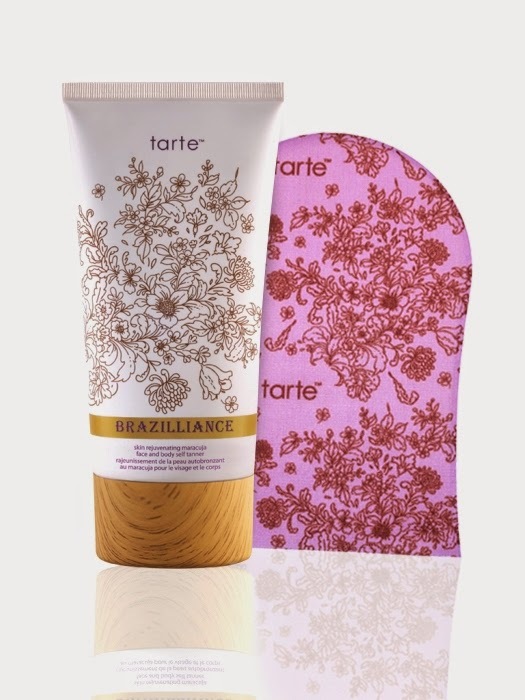 If you live in the UK and have always wanted to try tarte, they are now available on QVC UK! 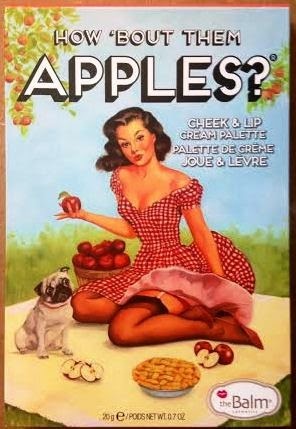 A few weeks ago, Birchbox & TheBalm had a contest for bloggers to win the new "How 'Bout Them Apples?" 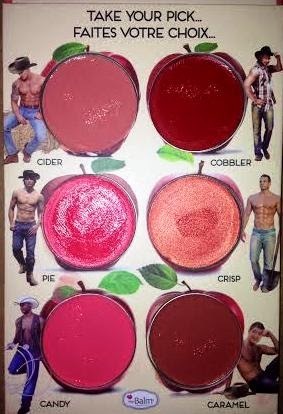 Cheek & Lip Palette! I have seen TheBalm around and find their packaging adorable, but never really got a chance yet to try anything out by them. I do own their rare Muppets palette where only 1,000 were made a few years ago but I treasure that palette and didn't want to ruin it by dipping into it. 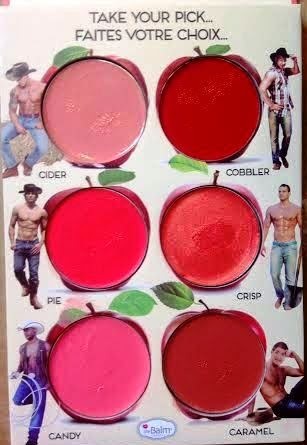 I found the shades to wear on my cheeks for quite a long time- four to five hours. This was nice because usually my face eats blush very fast. 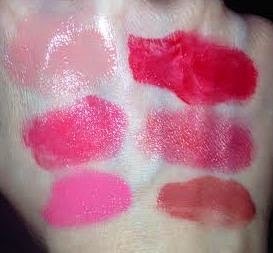 They were also long lasting on my lips even lasting a bit through sipping a water bottle. There is no glitter or shimmer, but the shades do have nice sheen to them. My favorite color out of the bunch is "Candy" which is a perfect sweet pink. But I am also hooked on all things pinks. Check out the swatch pictures below and please be sure to see my video for an even more in depth review! Disclaimer: I won this product in a Birchbox Bloggers contest to review. I receive no monetary compensation for my review and opions are always 100% my own and truthful. I am SOOOOO HAPPY it is FINALLY beginning to feel like Spring!! I am sure I am not alone when I say Thank God this winter is finally over!! 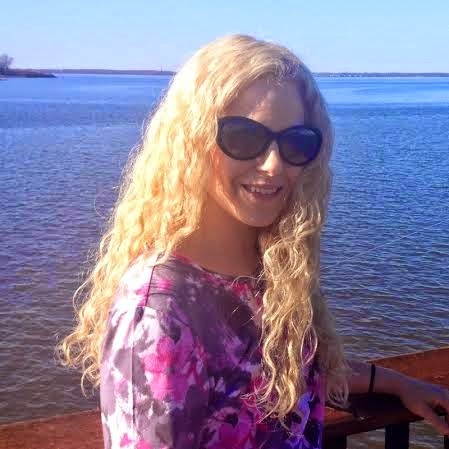 On Sunday, I went to a family party in my boyfriend's family and where we were in Jersey was right near a nice pier and the water, so afterwards I begged Tommie to let us stop there so I can take in some sun (with SPF of course!) and enjoy the weather. He happily agreed and it was just nice to sit and get some fresh air! This is actually Day 4 hair!! I notice my day 2, 3 and 4 hair is so much better than freshly washed Day 1. 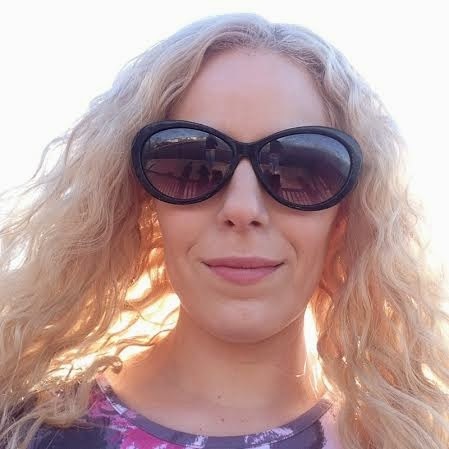 I have been using my Q-Redew hair refreshing steamer so much lately and it has been helping to re-encourage curl, help fix any wonky waves and just make my hair look better overall. I usually spray a Refresher spray (Jessicurl Awe Inspiraling Spray or DevaCurl Mister Right usually) beforehand and then will add a serum, or a leave in or a mixture of both depending on if my hair needs more shine or feels particularly dry. lso depending on the intensity of my workout that day I sometimes need a dry shampoo too. Oh sunshine. How I love and missed your warmth on my skin. 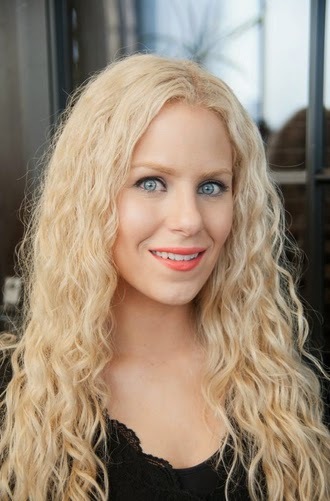 Diane Mary is a girl passionate about beauty from caring for her naturally curly hair, to makeup, skincare, fragrance and more. 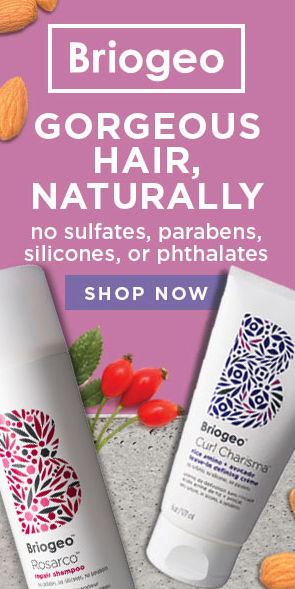 Save 15% By Shopping Through the Banner! 2 Years Since I Last Dyed My Hair! All photos and content on this blog are copyrighted by Diane Mary under the Digital Millennium Copyright Act, unless otherwise noted. Use of pictures without proper permission from blog owner is illegal, and will result in penalty. © 2015 Diane Mary's Take on Beauty. Victoria Template designed by Georgia Lou Studios All rights reserved.